Say Good Bye to expensive hair salons that charge a fortune to change your hair color!! 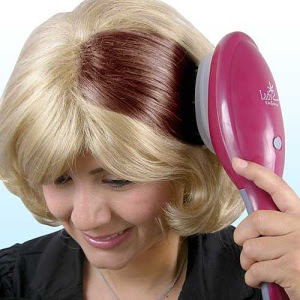 Now you can dye your hair at home fast, safe and easily. Just fill this unique brush with your color of choice, turn on and presto. The color control system distributes color with precision and ease. You'll be amazed just how fast and easy it is. Professional results at home in half the time.